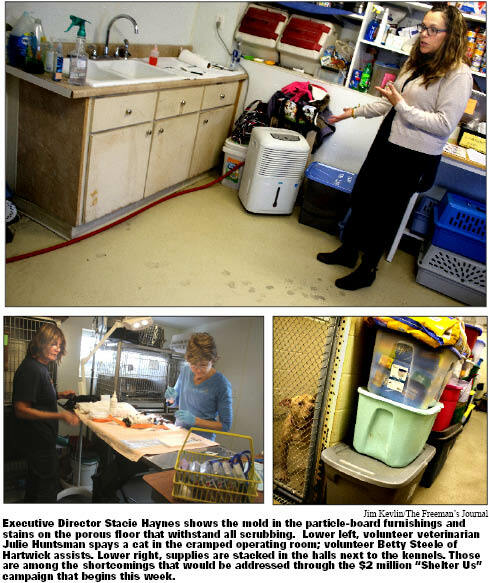 When the Susquehanna SPCA learned last February it had won $500,000 from Governor Cuomo’s Companion Animal Capital Fund, Executive Director Stacie Haynes sought bids to upgrade the aging shelter in Hartwick Seminary. announcement in this week’s edition of “Shelter Us,” a $2 million capital campaign to build a brand new animal shelter. A tour the other day brought the insurmountable challenges of the compound at 4841 Route 28 into focus. One, there’s not enough room. But, two, the particle-board walls and semi-porous concrete floors are simply impossible to keep clean. All the scrubbing by staff and volunteers can’t remove the stains, mold and smell. In effect, the complex is generally worn out. • On Friday the 13th of April, shelter volunteers were called to a nightmarish scene at a farm near Garrattsville to oversee the emergency relocation of 103 starving and neglected animals – donkeys, pigs, chickens, ducks, Pyrenees, even a parakeet. • On Wednesday, May 16, Fox Hospital discovered 19 kittens in a plastic bag in a restroom, abandoned. Haynes’ assistance, Becca Daly of Oneonta, took over the care of the 5-day-old cats, and the SPCA found foster homes for the other 14. • On Tuesday, Oct. 2, sheriff’s deputies rescued 53 tiny Lhasa Apsos packed in a Milford home, and dropped them off for medical care at the shelter. Within a week, the animals had been put on the path to health and adoption. • Just 20 days later, on Monday, Oct. 22, a shelter team retrieved four pigs left in a shed at the far end of a dirt road in Laurens. 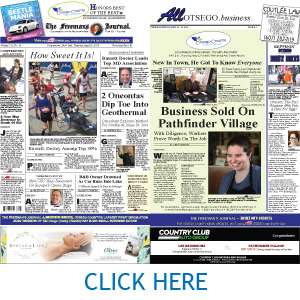 All this is done by a modest professional staff, assisted by more than 100 volunteers, people like Arlene Nygren of Goodyear Lake, young Bob Wood (not the supervisor) of Oneonta, Cat Chicorelli of Cherry Valley, Betty Steele of Hartwick, and many more – our neighbors, contributing selflessly to Otsego County’s greater good. 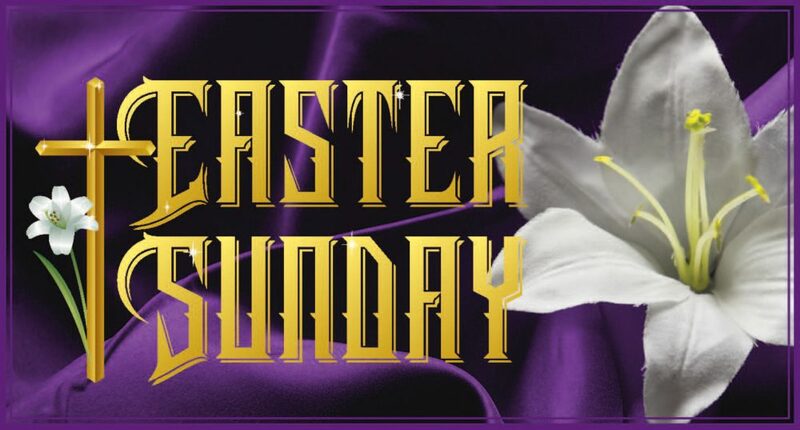 This requires a substantial budget, a little over $600,000 this year. About $100,000 comes from foundations, but the rest through revenues from a well-run thrift shop, fund-raising programs and donations. A tiny part of this money – about $7,500 a year – comes from individual contracts with 18 towns to take care of animals seized by dog-control officers. While deputies and state troopers drop off animals as necessary, no operating funds come from county and state coffers. For almost 100 years now, the Susquehanna SPCA has been largely a volunteer effort, funded by people who care. In the difficult decade our nation has gone through, here’s an example of good citizenship that shines bright. The $2 million campaign is off to a good start with the $500,000 grant, and another $180,000 donated through the “quiet phase” of the campaign. 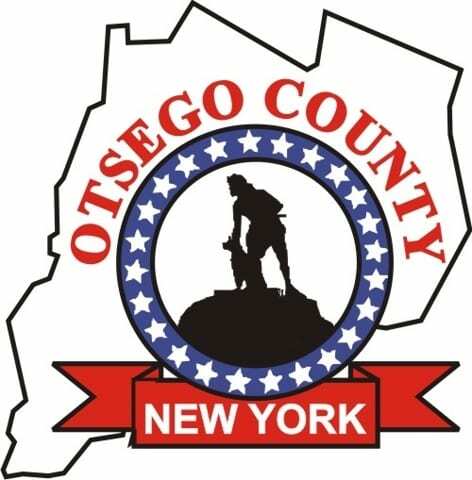 Now, the public is being invited to give, to ensure a quality future for an organization that has proved its worth to the Otsego County community at large. The beauty of “Shelter Us” is there’s an opportunity and a need for everyone to contribute according to our means. The important thing is to make this one-time contribution now. So double your money – and the shelter’s – by donating during the month of December. The Susquehanna SPCA has been serving the community for 100 years. Now’s the time to build a foundation for the second hundred years for an institution that’s not only essential, but widely revered.